Prime Minister General Prayut Chan-ocha is set to attend the 10th Asia-Europe Meeting (ASEM) on October 16-17 in Milan, Italy. Hosted by Italy, the European Union chairs this year’s ASEM which will feature discussions on “Responsible Partnership for Sustainable Growth and Security”, under the three pillars of politics, economics, and social, cultural and educational development. Once every two years, 51 ASEM member Heads of State and Government meet at the summit to set ASEM’s priorities. These summits are held alternatively in Asia and Europe. 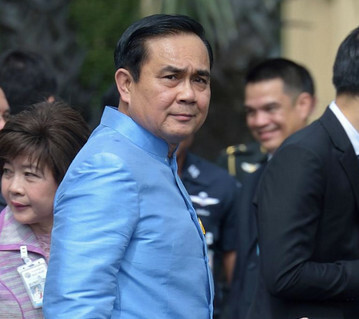 The trip will mark the first trip General Prayut has made beyond the region as prime minister, giving him an opportunity to introduce himself to the international community. Prime Minister General Prayut will declare Thailand’s stance on world issues including the fight against the Islamic State and the spread of the Ebola epidemic. The premier has said he would reaffirm Thailand’s commitment to continue its participation in international partnerships despite undergoing its own internal reforms. In addition, Thailand is set to receive the role as the next ASEM Country Coordinator in August of 2015.